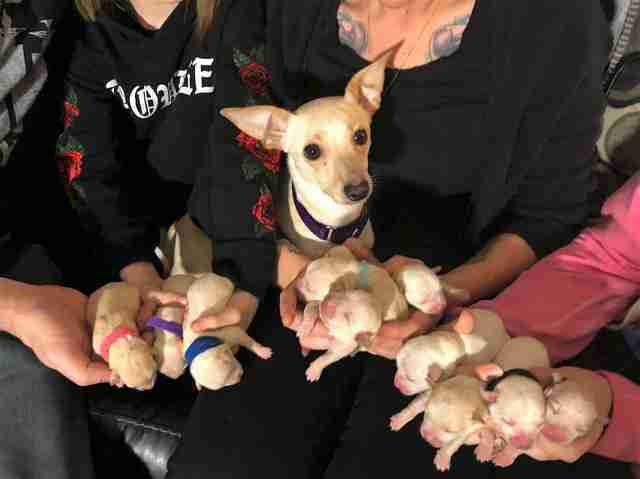 When rescuers first met this sweet little Chihuahua, it was obvious to them all that she was about to deliver a litter of puppies. What no one could have guessed, however, was just how many. 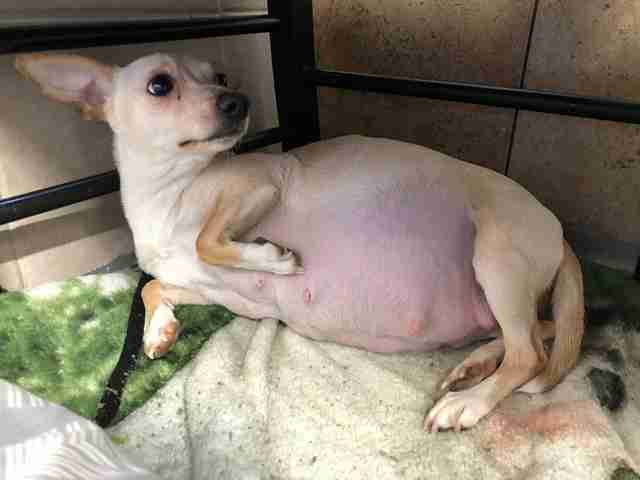 The pregnant 18-month-old dog, named LOL, was surrendered by her former owner this month to Unleashed Pet Rescue & Adoption in Kansas. From there, she was placed with a foster family, who knew that she could go into labor any minute. And five days after being rescued, she did. LOL's foster mom and dad were there as she began delivering tiny puppy after tiny puppy last Friday. 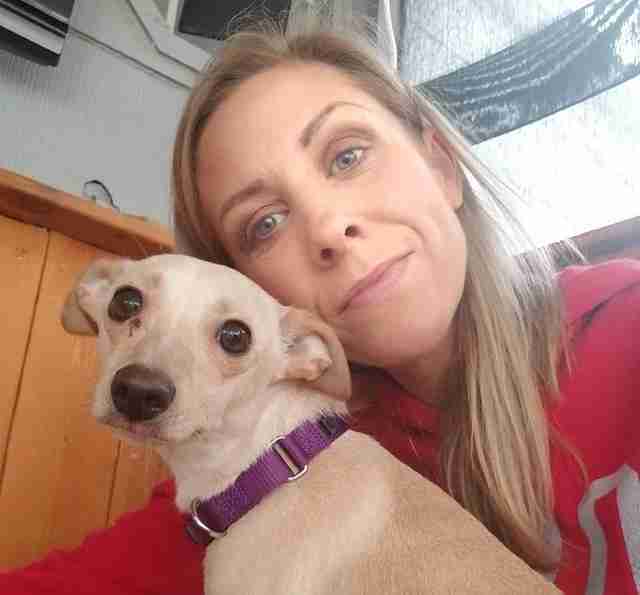 They stayed in touch with Rebecca Taylor, from Unleashed Rescue, throughout the process. But how many puppies would there be? 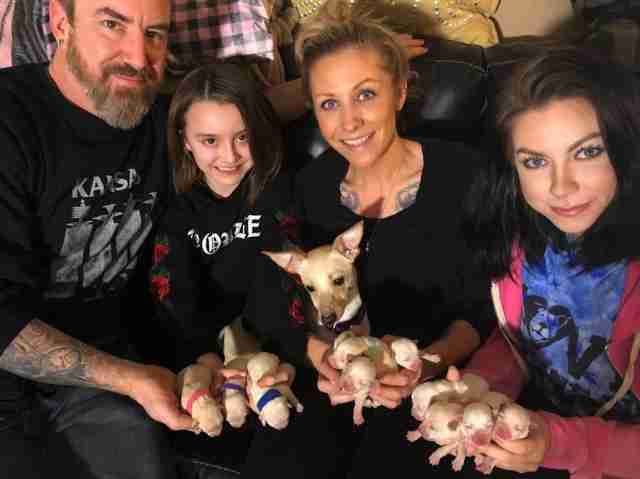 "Foster mom told us eight, and we thought surely she was done," Taylor told The Dodo. "Then came nine and 10." "The next morning there was an 11th puppy!" Taylor said. Her reaction? "Shock!" The puppies are all perfect. LOL couldn't be prouder, but she certainly has her hands full. While LOL’s babies are clearly adorable, their arrival into the world may very well be unprecedented. 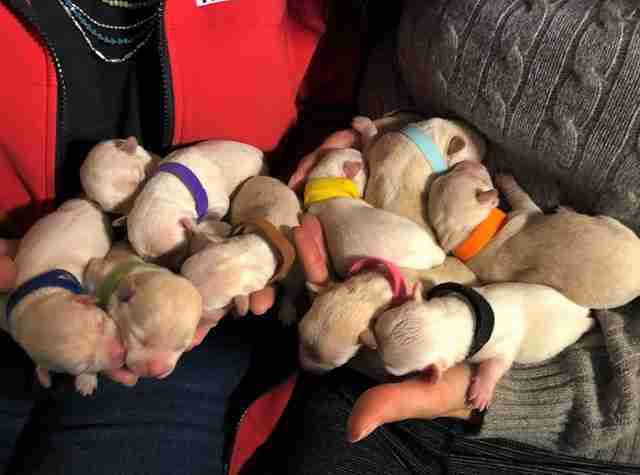 Apparently, the largest Chihuahua litter on record is 10 puppies. LOL just topped that — and may soon be entering the record books herself. “We have contacted Guinness World Records and have been told it will be up to 12 weeks before they notify us,” Taylor said. For the next few months, LOL and her babies will continue to bond under the care and comfort of their foster parents. When the time is right, they'll be placed up for adoption. "We are very optimistic about their future," Taylor said. "They are each going to have wonderful, loving homes." Visit Unleashed Pet Rescue's website to learn more about LOL and her puppies, or to make a donation to support rescues like this one.